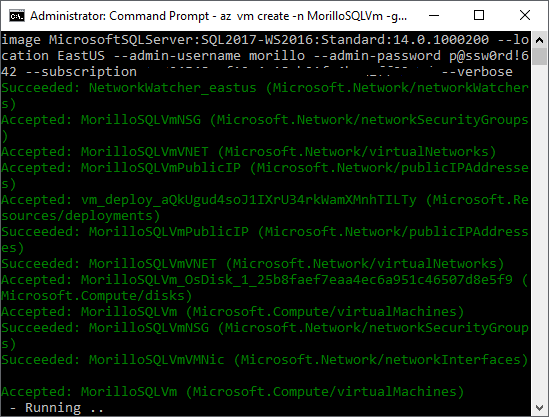 How to create an Azure SQL Server VM using CLI. Date created: March 25, 2019. 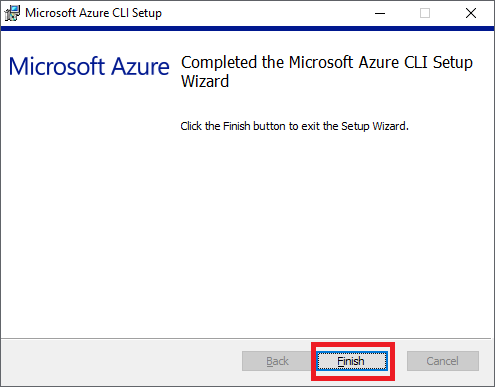 On this article, you will find step-by-step instructions on how to install Azure CLI and how to make use of it to install an Azure SQL Server VM. 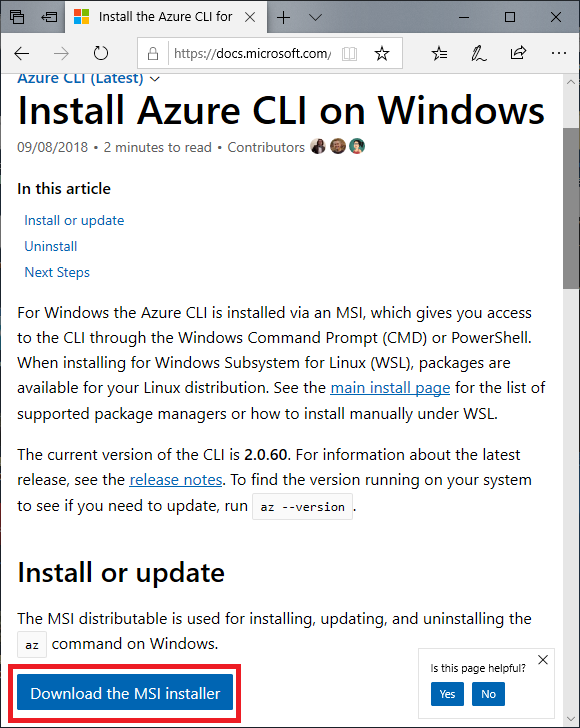 The Azure CLI 2.0 is a command-line tool that provides a great experience for managing Azure resources and is designed to make scripting easy. Let's start by installing CLI from this URL. 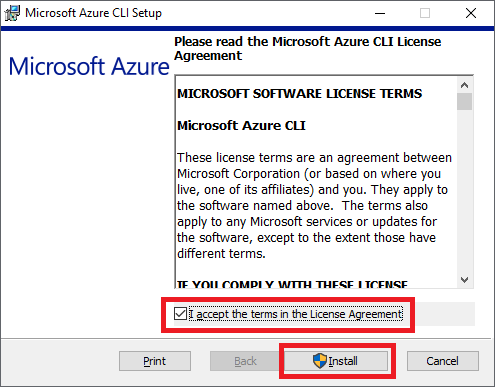 It can be installed on Windows, macOS and Linux. 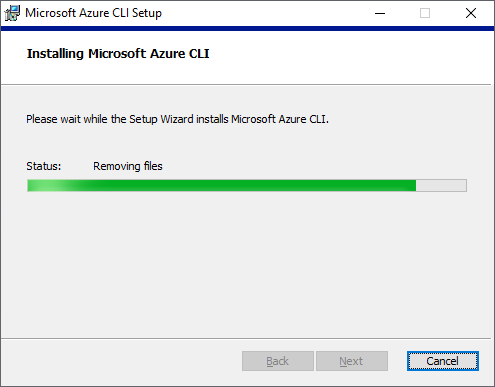 Once CLI has been downloaded make a double click on it and it will start to install. 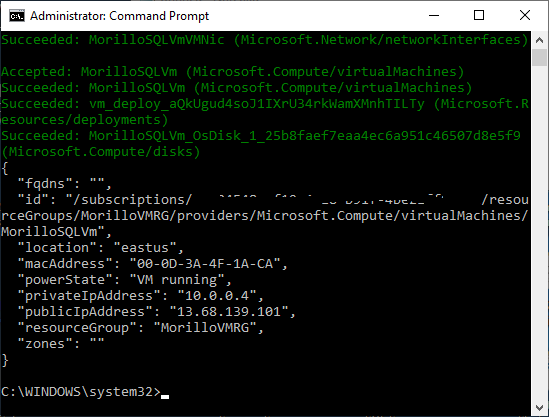 Now tha Azure CLI has been installed, let's now login to Azure using CLI as shown on the following image. 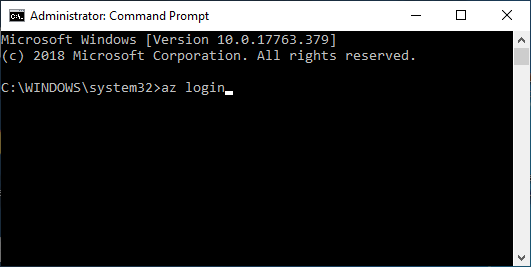 The "az login" command will invoke a Web Browser to provide credentials to login to Azure. 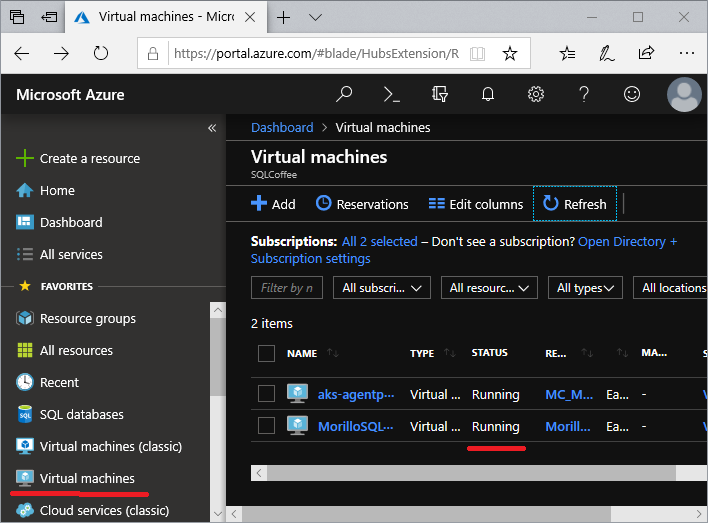 Once the login process has finished successfully, information about all subscriptions associated with your Microsoft account will be displayed. 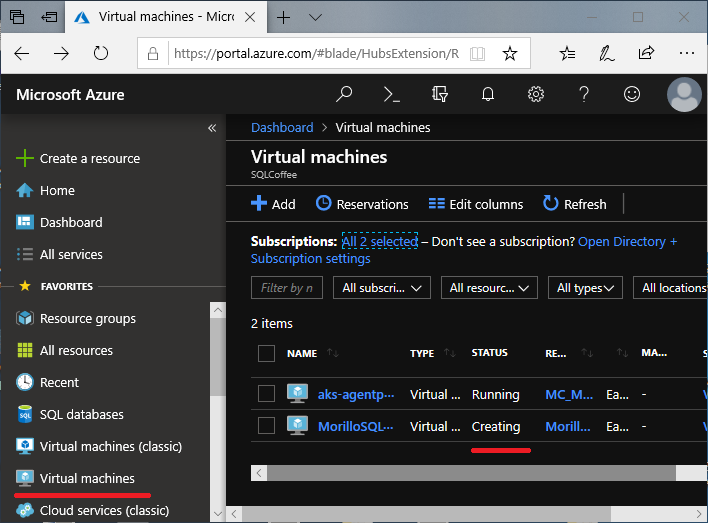 The --subscription parameter is only needed if you have multiple subscriptions associated to one Microsoft account. I masked my subscription Id for obvious reasons. The --verbose parameter is used for increased logging verbosity. 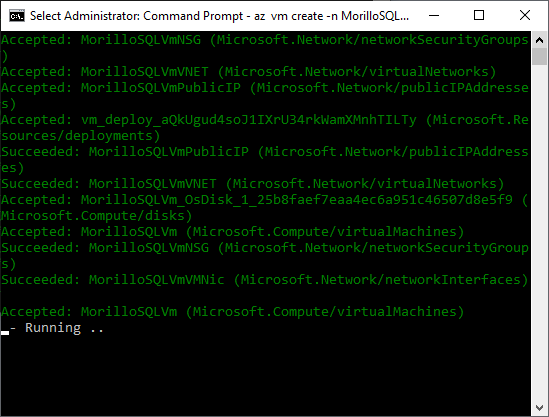 The command it self is showing its progress creating objects related to the new VM. 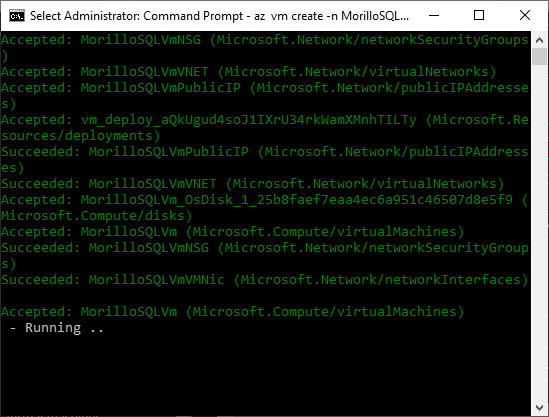 A few minutes later, the command will succeed and the VM will be up and running.